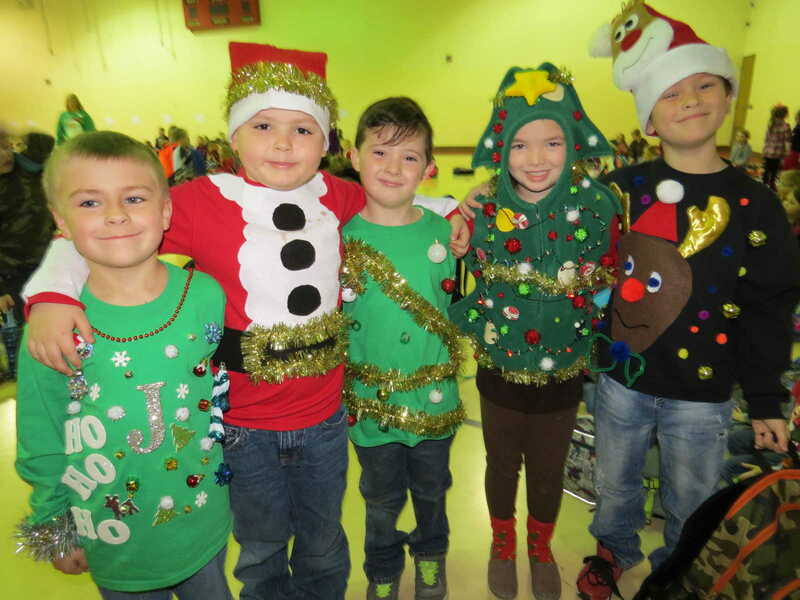 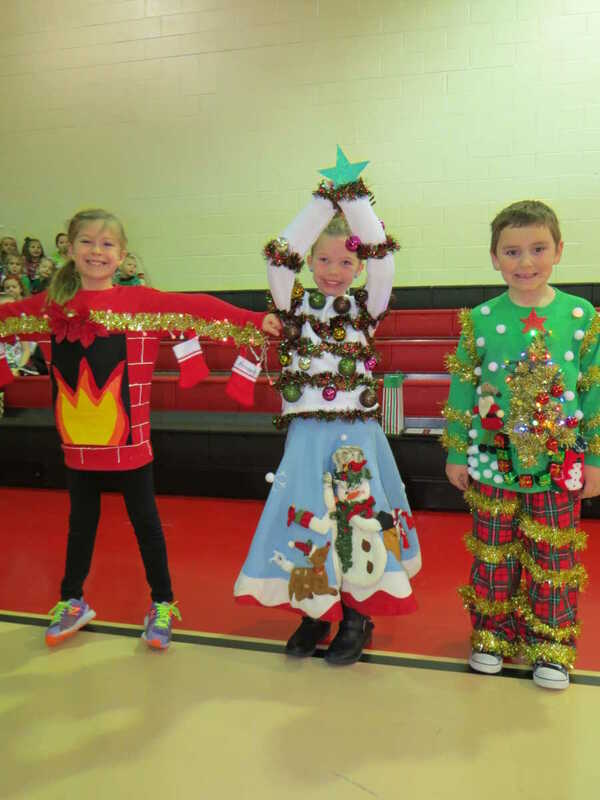 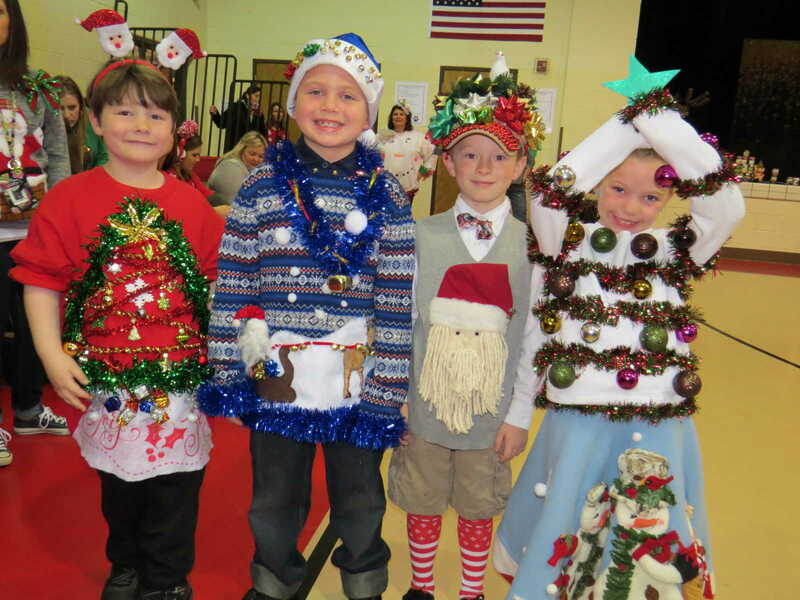 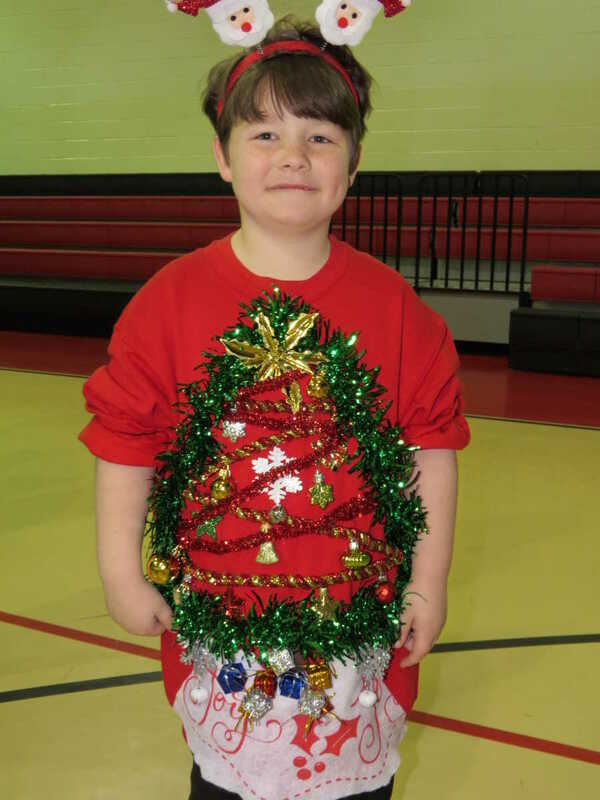 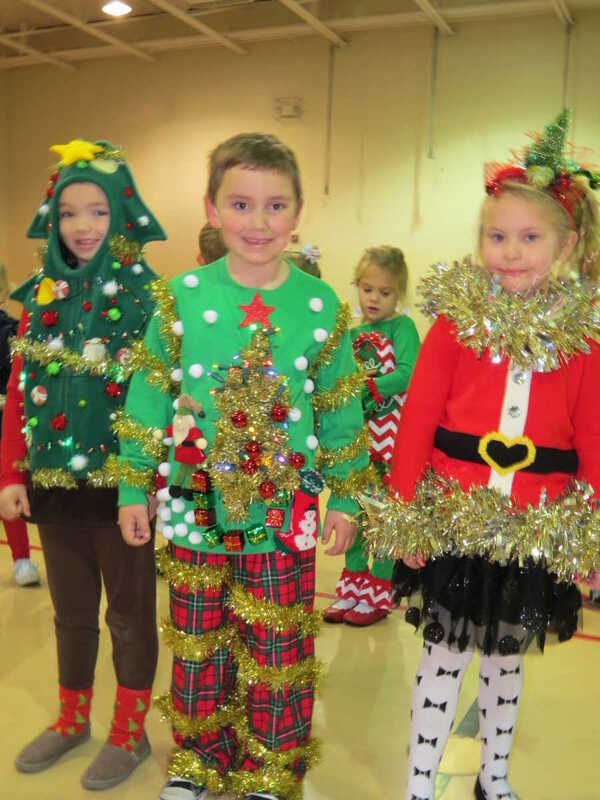 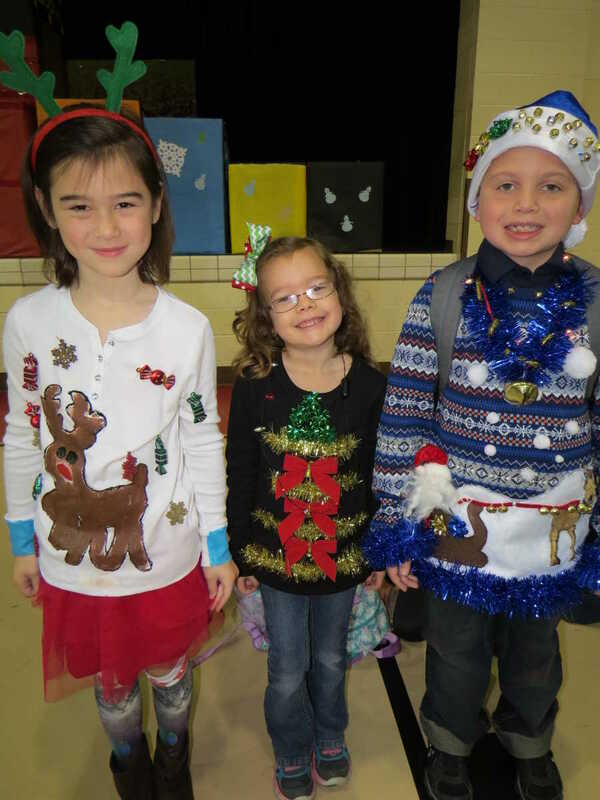 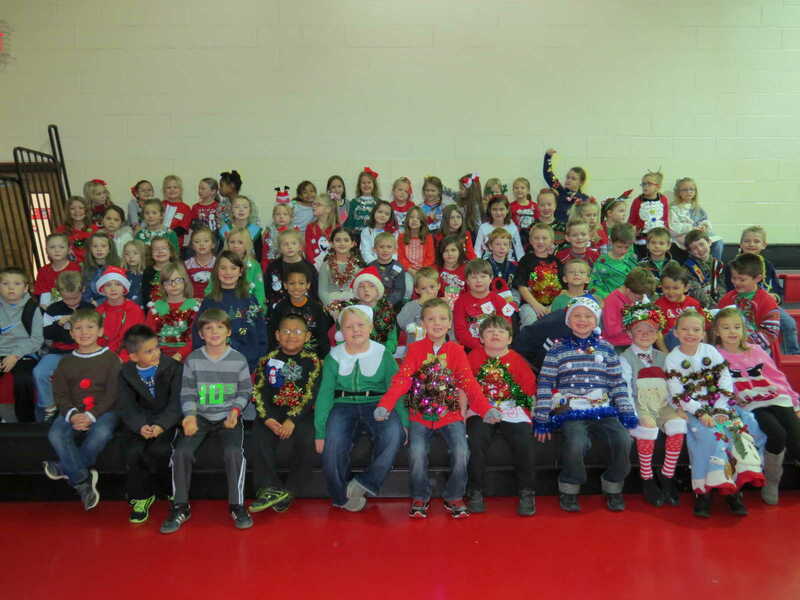 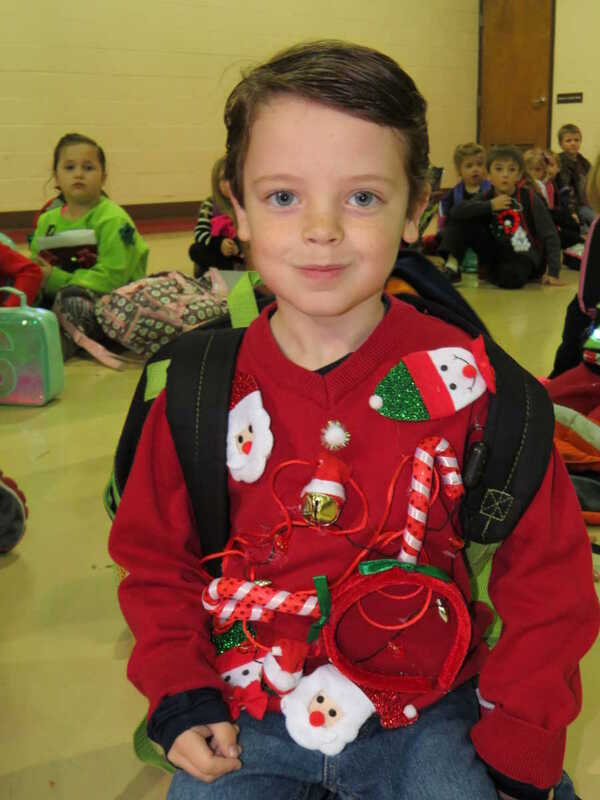 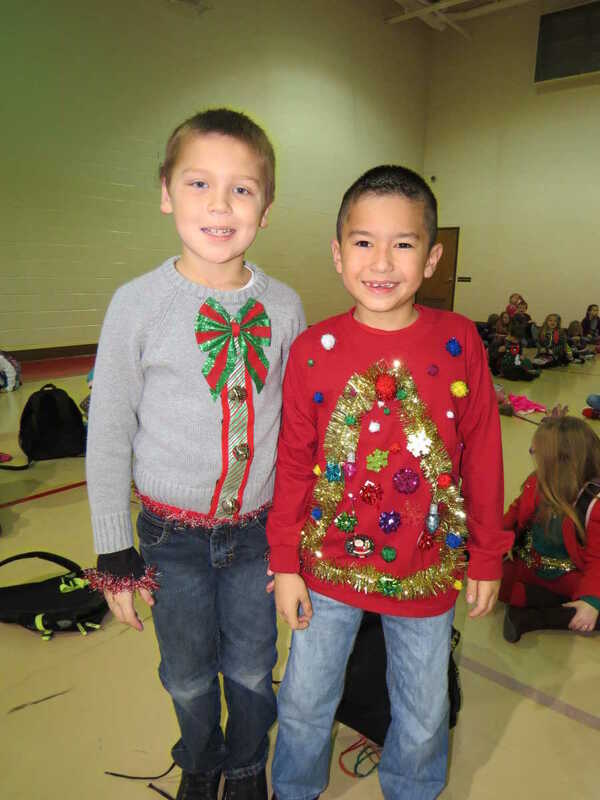 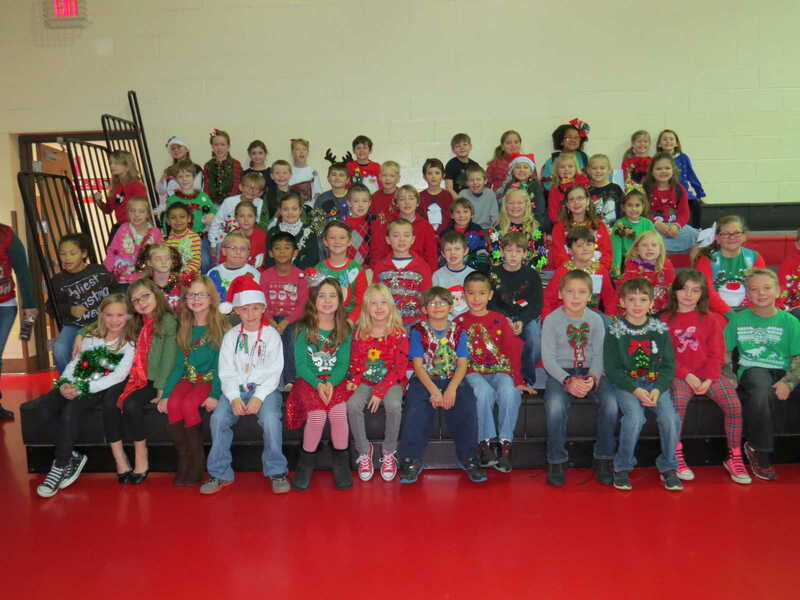 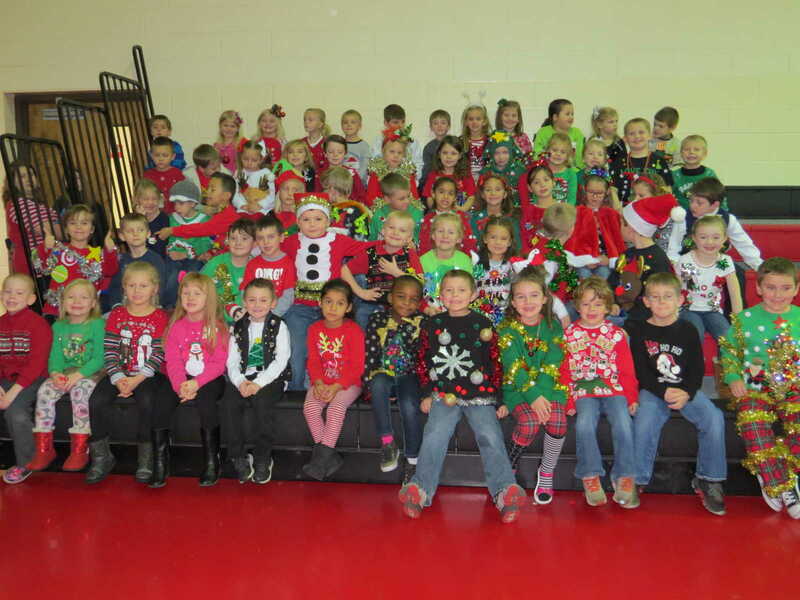 Southwest Elementary students from kindergarten through second grade participated in an Ugly Sweater Contest this week, and an abundance of creative entries walking the halls. 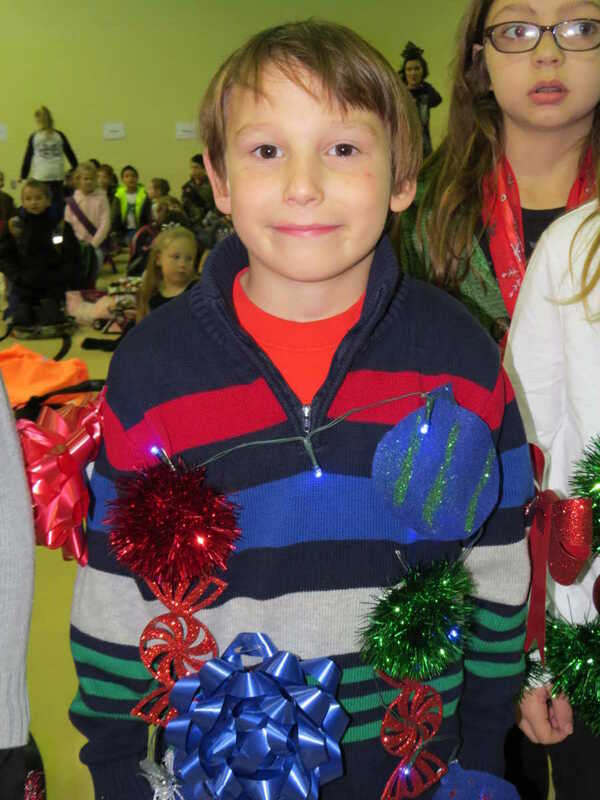 One overall winner was selected in each grade level. 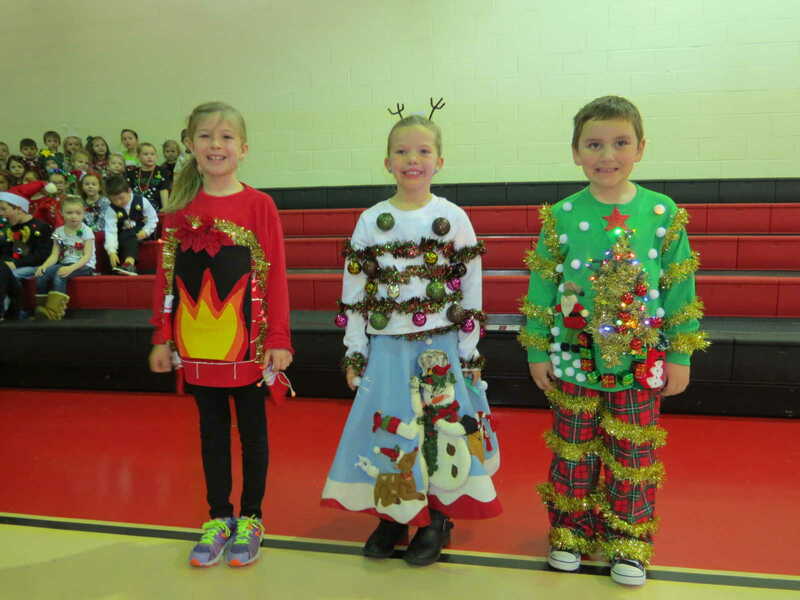 The winners were, from Klaire Essner in second grade, Addisynn Tipton in first grade, and in Kindergarten, Eli Whitehead. 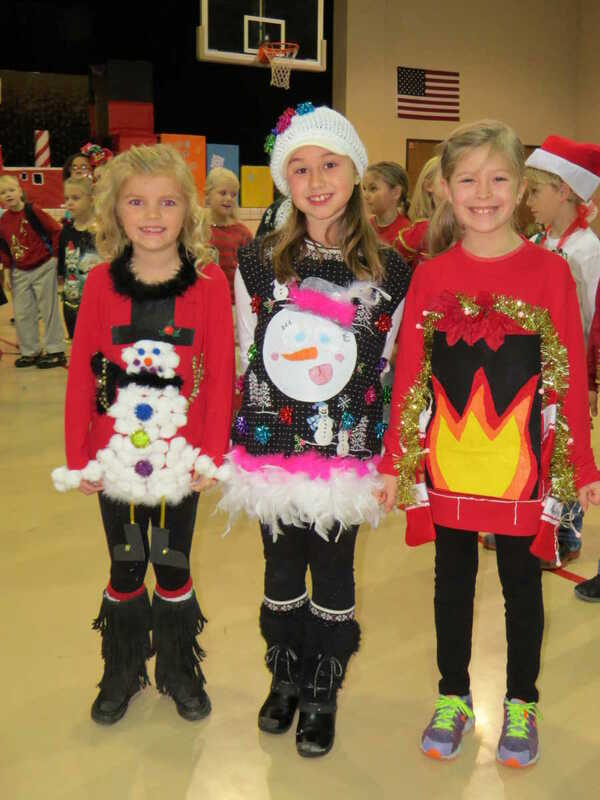 Other photos show a sampling of some of the originality and creativity the students displayed.